Buy of REUK MINI LDR DUSK DAWN LIGHTING CONTROLLER. This is our NEW stripped down miniaturised and more economical version of our REUK Super LDR Dusk Dawn Relay Controller. 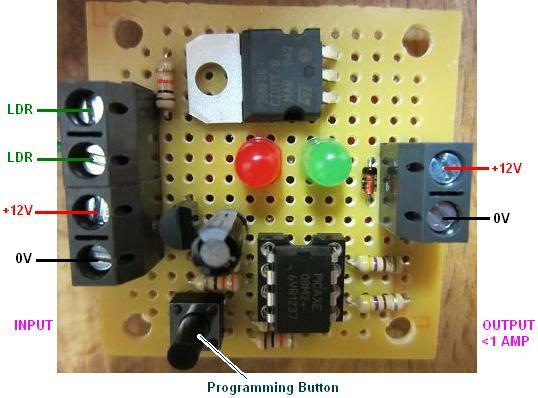 This new mini version is functionally identical to the standard controller, but instead of a relay output, it has a 1 Amp rated output which can be used to directly power up to 12 Watts of LED lighting or other low power low voltage device(s), or to connect to the coil of a relay (not supplied) which can in turn control any device of any voltage or current/power rating. 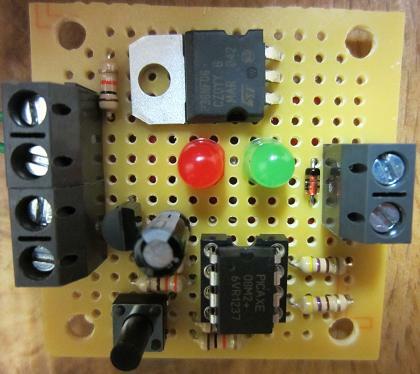 This device takes a 12VDC input, but will work fine with anything from 8-15VDC (so you can use it with a suitable battery solar charged or otherwise), and will output up to 1 Amp at the same voltage as the input. 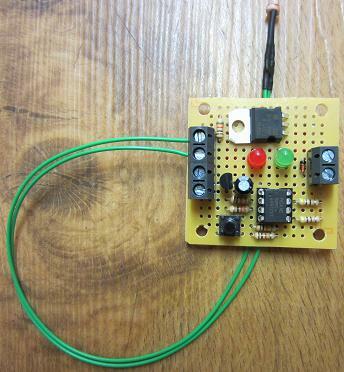 A non-waterproof light detector is supplied fitted to 300mm long leads (which you can extend) which connect via screw-in terminals to the circuit board. Mode 1: On when dark. Mode 2: On when light. Mode 3: On from dusk until dawn. Mode 4: On for X hours after dusk. Mode 5: Off for X hours after dusk and then on until dawn.